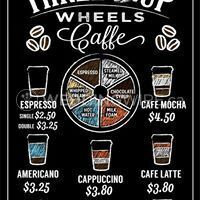 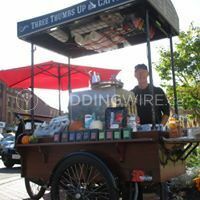 Three Thumbs Up wheel caffe ARE YOU A VENDOR? 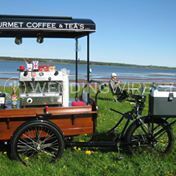 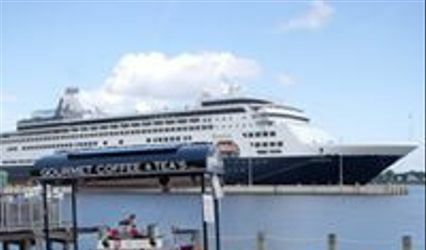 Located in Mount Stewart, Prince Edward Island, Three Thumbs Up wheel caffe is an espresso coffee trike that was manufactured in the UK and is now on Canadian lands, serving up the best handcrafted cup to fine coffee at weddings and other special events. 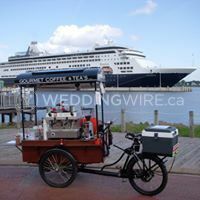 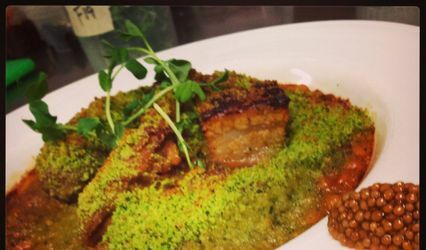 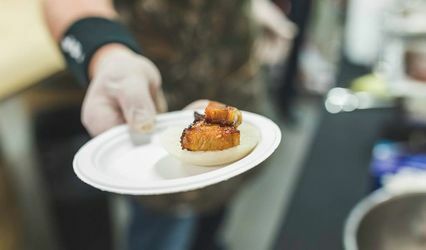 Owner and Barista Allan Drisdelle has catered to weddings and corporate events, creating a unique experience during any event. 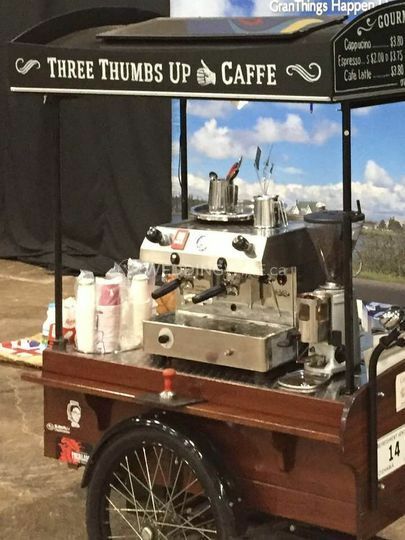 This eco-friendly espresso coffee trike is available for up to 12 hours while it's unplugged and include a dual fuel Francio espresso machine. 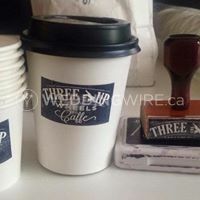 Allan will deliver, set up and clean up the espresso trike and provide the cups and fresh, roasted coffee beans to create their delicious beverages. 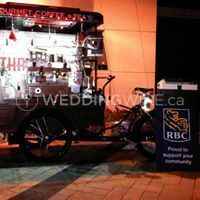 Three Thumbs Up wheel caffe provides organic coffee for weddings and it's trike can be modified to suit your weddings requirements. 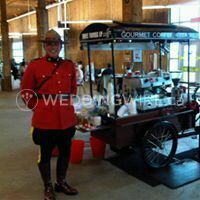 Contact Allen today to see if his services are right for your upcoming wedding celebration or event!